Dr Michael Brand, Director of the Art Gallery of NSW, today announced that Justin Paton has been appointed as Head Curator of International Art. He will join the Gallery in January 2014. 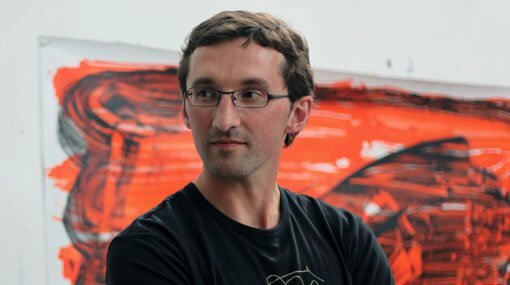 New Zealand-born Justin Paton is one of New Zealand’s foremost curators and an acclaimed art writer, with a wide range of exhibition projects and publications to his credit. Justin comes to the Gallery from Christchurch Art Gallery where he has been Senior Curator since 2007; before that he was Curator of Contemporary Art at Dunedin Public Art Gallery. Justin will be responsible for providing overall vision and direction for the Gallery’s international collections and exhibition programs. Justin’s major projects as curator have included the group exhibitions De-Building and Unguided tours and survey exhibitions of New Zealand, Australian, English and American artists including painter Stanley Spencer, word artist Kay Rosen and video artist Daniel Crooks. He was curator of New Zealand’s official presentation, by Bill Culbert, at this year’s Venice Biennale. Justin joins the Gallery at an exciting time following the announcement in March this year of a vision and strategic master plan, titled Sydney Modern , under director Dr Michael Brand. Justin will bring a wealth of expertise and experience to our Gallery along with a reputation for highly creative thinking and writing. I am delighted he will soon be joining our team in Sydney as we plan for our ambitious Sydney Modern transformation and building expansion. His recent work has been marked by both innovation and community service. At the Christchurch Art Gallery, Justin was curatorial leader for the complete reinstallation of their collection then led their award-winning post-earthquake program of public art installations and public programs. His ability to work creatively with artists and to speak to a global audience was clearly evident at this year’s Venice Biennale, said Michael Brand. In addition to his work as a curator, Justin is a writer and commentator on contemporary art, who in 2012 received the Katherine Mansfield Menton Fellowship. He is best known for the 2005 book How to look at a painting , which won a Montana New Zealand Book Award and inspired a series for New Zealand television which Justin also presented. His other books include studies of New Zealand and Australian artists including Jude Rae and Ricky Swallow.